AppleApple Watch Edition in rose gold. 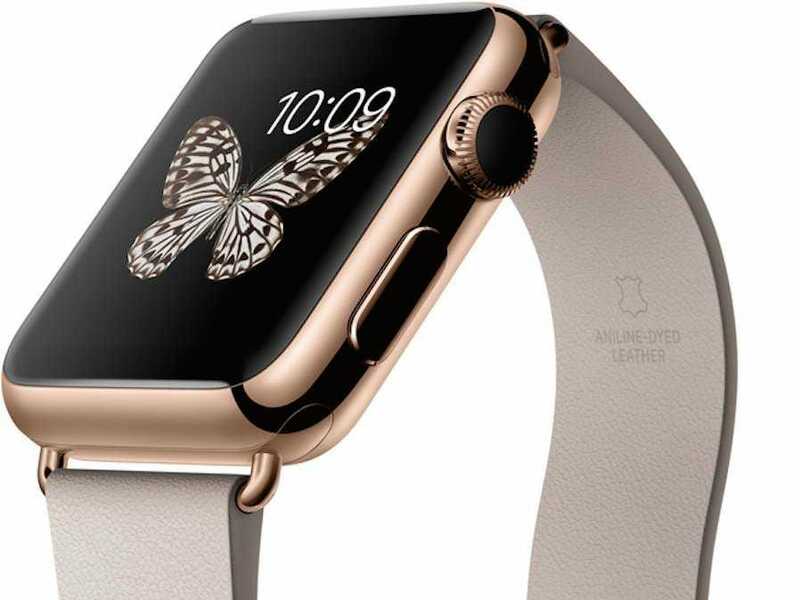 Apple may charge $US4,000 to $US5,000 for the gold Apple Watch, according to a report at the French Apple website igen.fr. It sounds expensive, but it wouldn’t be a stunner if Apple priced its most expensive watch in this range. Apple has always been a premium product company. While many urged the company to lower prices on the iPhone to compete with Android, it went the other way and effectively raised prices this year. A solid gold watch from, say, Rolex, is more than $US5,000. Apple is positioning the Apple Watch as a luxury item that goes head-to-head with Rolex, so it would make sense for Apple to price it at $US5,000. Especially because Apple says its intro-level watch will be $US350 to appeal to a broader group of consumers. That said, charging $US5,000 for an Apple Watch is problematic because technology moves quickly. A $US20,000 Rolex is going to be valuable for the next 50 years as it is passed from generation to generation. The first iPad, or the first iPhone, is utterly worthless. If you have an original iPhone, it probably barely works. It will struggle to support any current apps or features. It is obsolete. It’s not even valuable as a collector’s item because Apple made millions of them. So, who would pay $US5,000 for a watch that’s going to be obsolete in four years? In a three-hour podcast talking about the Apple Watch, Apple writer John Gruber had an idea about how Apple could justify the high price tag for anyone worried that his or her expensive watch would turn into an expensive brick in a few years. Gruber speculated that Apple could make the computer chip that powers the Apple Watch replaceable. This would keep the watch valuable because you would just upgrade its internals from time to time. In fact, it could make the Apple Watch even more valuable as a timepiece. It would be a first-edition collector’s item that would grow in value over time. This seems to be just wild speculation on Gruber’s part. It doesn’t seem to be based on talking to people who work at Apple. However, Gruber is generally a pretty smart guy, and he is in touch with people at Apple, so who knows? Either way, it’s an interesting thought experiment. Gruber’s idea seems to be inspired by the webpage Apple set up for the technology in the Apple Watch. It has a special section dedicated to the S1 chip. Here’s what it looks like. The wording here makes it sound as if there’s a chance that Apple would be able to remove the S1 and replace it with, say, the S2 or S3 in the future. 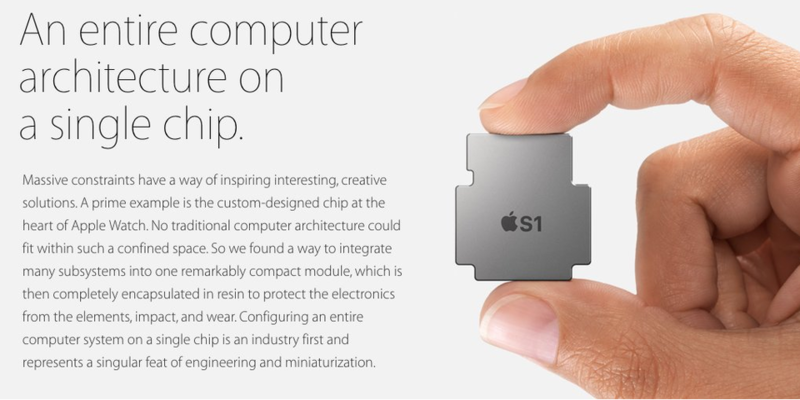 After all, Apple has the entire computer on one chip. It just has to rip out that little computer and replace it with a new one. 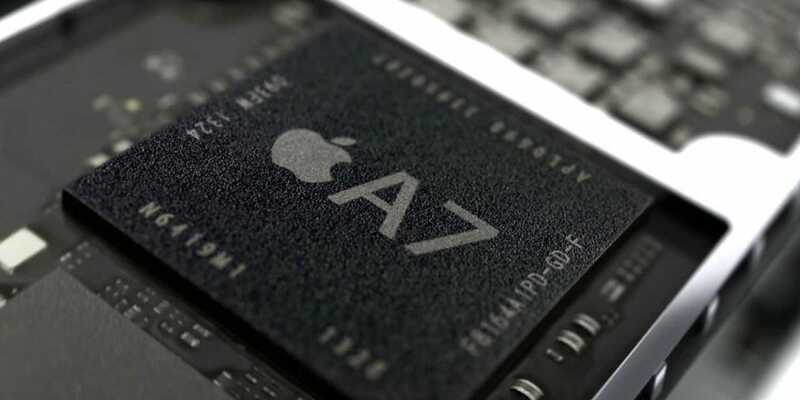 As Apple upgrades the computing power, it could replace the chip for, say, $US500, Gruber suggests. This sounds high, but this is what it costs to service a high-end luxury watch every few years. If this were to happen, it would solve the problem of turning the watch into an obsolete brick after a few years. There are, obviously, quite a few problems with this idea. Apple’s innovations and progress don’t happen only on the outside of the company’s gadgets. While we all see the outer designs of Apple products changing, what’s happening inside the products is even more radical on a year-to-year basis. For this idea to work, Apple would have to be committed to the same shape for S-chip for a long time. Perhaps forever. This seems unlikely, but then again the general shape of the A-chip that powers the iPhone has remained relatively constant. The other parts of the watch would evolve, and perhaps this would be a problem for the S chip to power the Apple Watch. But Apple says the entire computer is on one chip, so there shouldn’t be much else in the phone other than a battery. This is all speculation, but it’s a lot of fun to think about. Apple would totally upend the traditional gadget model, and it would (somewhat) justify spending thousands of dollars on a watch, because the watch would be useful for years and years to come.